You are important! There are many factors that make for a healthy well-being and we all need to be sure to take care of ourselves. The military and the different branches reinforce this idea with articles, program and support. The MilitaryAvenue Team reiterates the importance of taking care of ourselves with the very real-impact it has had on us. Now it is time for you to act! Look out for yourself and then, just as importantly, look out for your battle-buddy, your neighbor, your friend, your spouse. 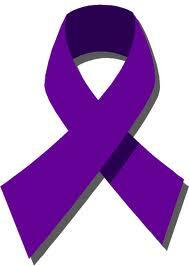 October brings with it a myriad of "awarenesses" ... breast cancer, depression, domestic violence and much more. All things that we should be aware of all year long but a great chance to educate ourselves now, to prepare for the future. It is a reminder that /we/ are important, mentally and physically. No. 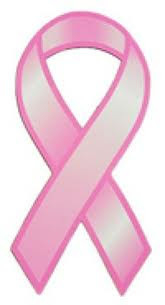 Although many women get breast cancer, it is not a common cause of death. Heart disease is the number one cause of death among women age 40 and above, followed by stroke, lung cancer, and lung diseases. Breast cancer is the fifth leading cause of death. Each year, about 210,000 women are diagnosed with breast cancer. Many fewer women, around 40,000 each year, die from breast cancer. Domestic violence goes beyond physical abuse. It includes emotional abuse such as threats, isolation, extreme jealousy and humiliation. It also includes sexual abuse. Whenever an adult is placed in physical danger or controlled by threat or use of physical force by their spouse or intimate partner, she or he has been abused. The risk for abuse is greatest when victims are separated from supportive networks. PTSD - "There is a Cure"
BratConnect, the power to connect!